Turner Prize nominee Janice Kerbel worked with Aquabatix to help create and perform her latest work ‘Sink’ commissioned by The Common Guild. ‘Sink’ takes the form of a synchronised swimming routine, using the language of synchronisation to explore the tensions between body and language, movement and stillness, the individual and the collective. Synchronised swimming is marked by a unique history infused with the magic of cinema, the discipline of dance, and the precision and athleticism of contemporary competitive sport. 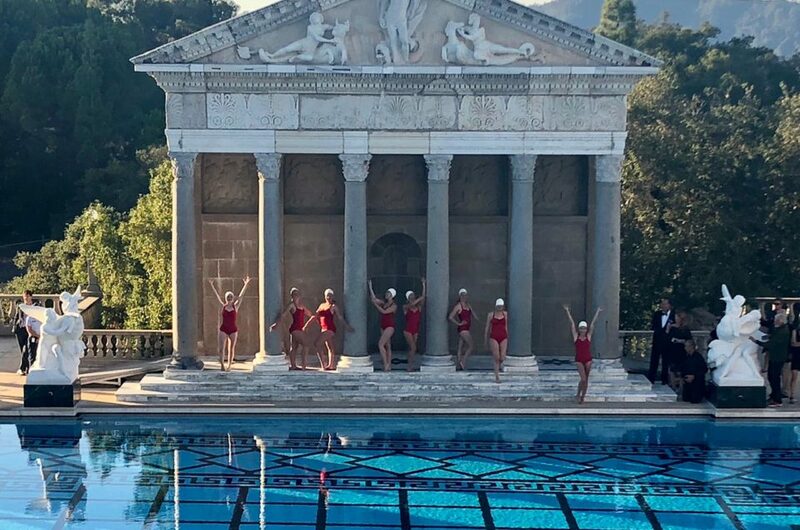 ‘Sink’ will explore contradictions inherent in the form to imagine a compositional choreography that is both austere and extravagant, performed by 24 specialist, elite female swimmers from Aquabatix. 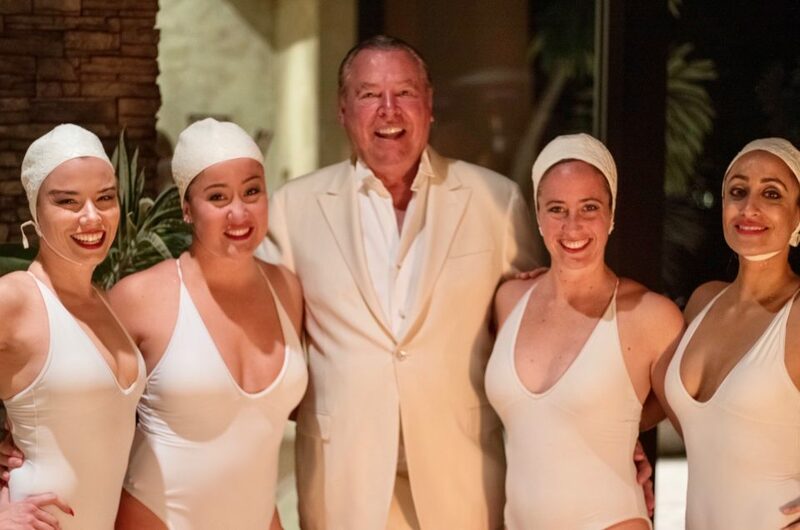 Janice Kerbel worked with Adele, co-founder of Aquabatix and former contemporary dancer and now choreographer Lorena Randi to help her create the piece having had no previous experience in synchronised swimming. Aquabatix helped Janice by running workshops in the pool and consulting with her in the studio to help Janice achieve her vision of the concept. 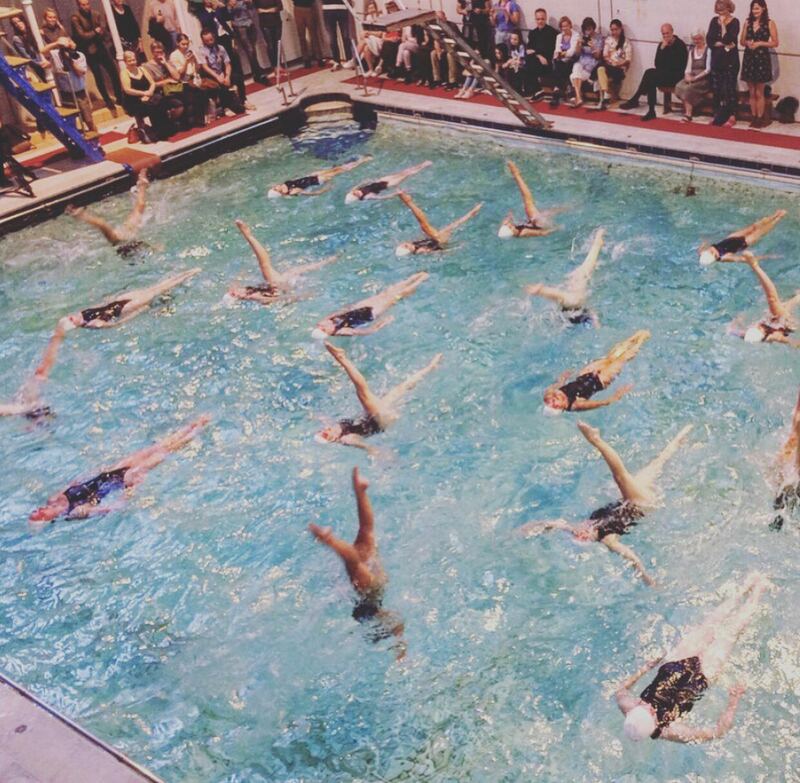 The piece resulted in 24 synchronised swimmers, starting with one and adding in groups, gradually introducing a series of eight positions to explore, then building those into four different sequences, all the while becoming less symmetrical, un-synced and all performed to just the sound of a metronome for seven minutes. There was no music, sequins or arm movements in sight. 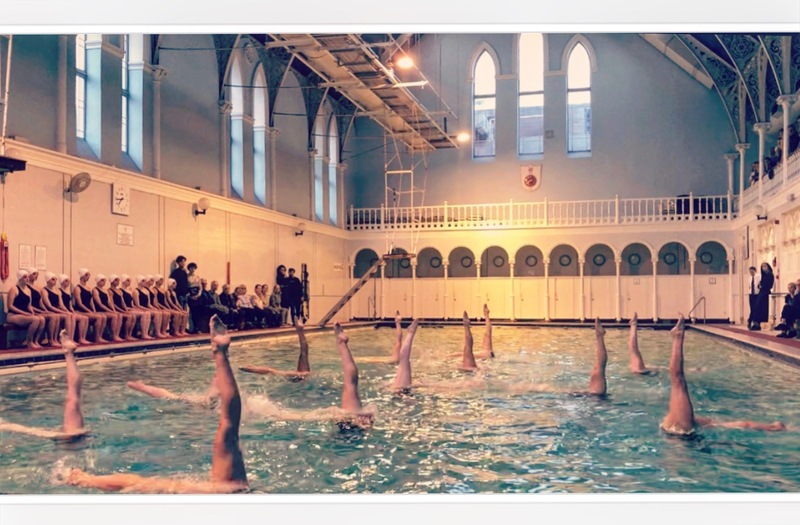 The piece was performed at the glorious Western Baths members club. Dressed in simple black swimsuits, white caps and coral goggles, Aquabatix performed the piece to approximately 500 people in one evening, during the cultural festival running in conjunction with the European Championships in Glasgow. Artist Janice Kerbel said of working with Aquabatix on Sink; “It was a real privilege to realise it together”. Scottish Cabinet Secretary for Culture, Tourism and External Affairs, Fiona Hyslop, came along to watch one of the performances and mentioned it “was amazing”. The Guardian also included an image for their centre page spread on the day of the performance. ‘Sink’ is Kerbel’s largest project to date, and builds on her existent relationship with The Common Guild and Glasgow, where her work ‘DOUG’ was commissioned and first presented in the Mitchell Library in 2014. Kerbel was shortlisted for the 2015 Turner Prize for this work, which was re-configured and re-presented in the Turner Prize exhibition at Tramway.